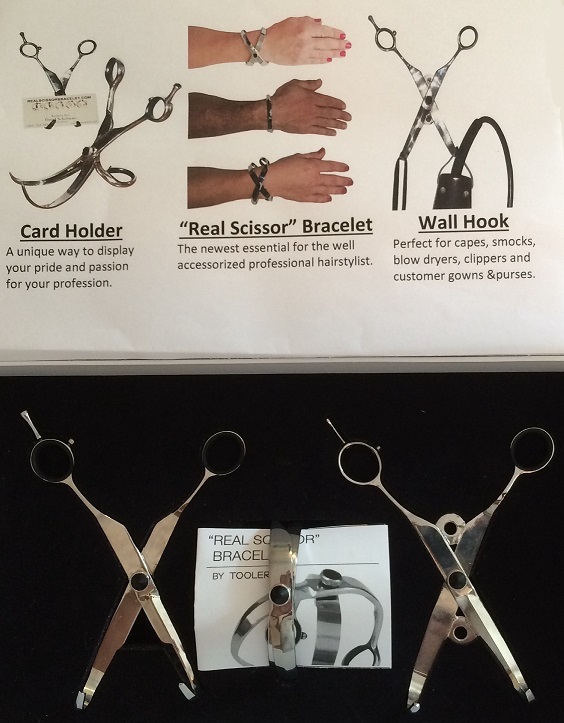 Set of - 1 "Real Scissor" Bracelet, 1 Business Card Holder and 1 Wall Hook-ALL MADE FROM HAIR STYLING SHEARS. Over $100 value Great present for your favorite hair stylist/hair dresser! Order using the drop down menu below. 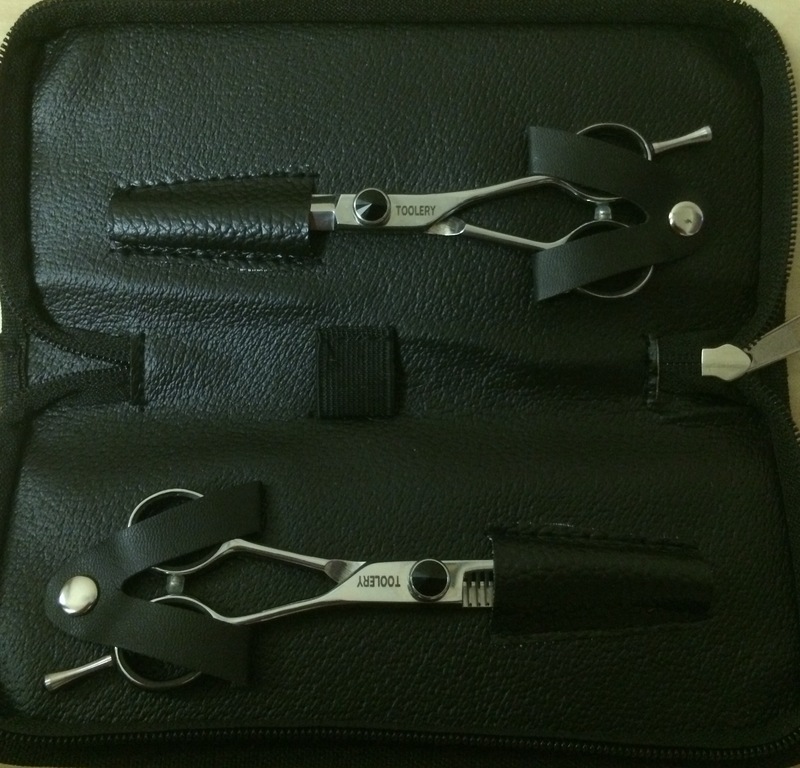 5.5 Inch Professional Hair Cutting Scissor & Thinning Shear Set Complete With Case. 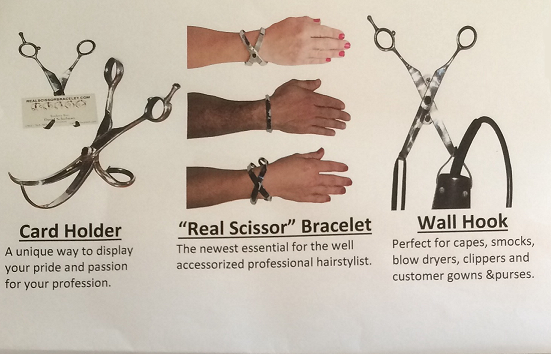 If you purchase the scissor / shear set will send you as a bonus, one bracelet, one card holder and one wall hook. "Real Scissor" Bracelet Patent Pending © 2013-16. Toolery Inc. All Rights Reserved. Toolery Inc. does not resell any contact information.